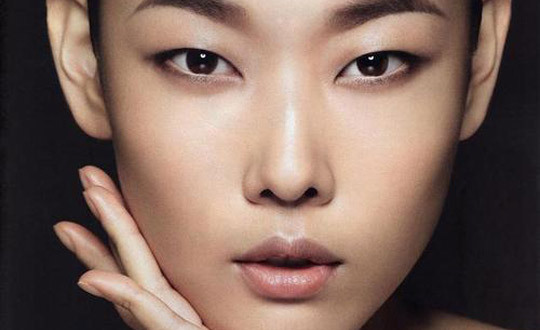 South Korean actress Hye Jin-han showing off her supple complexion in Marie Claire. 1. Only use Fragrance-Free Products. Scented products typically contain ethanol, which interferes with the production of fatty acids in your skin—leading to dryness and potential irritation. 2. Less is More. If starting a new skin regimen, like retin-A, for example, start with very small amounts, and ease into larger quantities. Overwhelming your skin with foreign chemicals can lead to irritation and skin damage. 3. Exfoliate less. While you think your sloughing off unwanted dirt and dead skin cells, you are harming the essential protective layers of your skin, making you more prone to burns and harmful bacterial infection. 4. Wash your Face Daily, but no more than twice a day. Too much sebum, your skin’s natural fatty oils and sweat, can lead to unwanted pimples, but washing your face more than twice a day causes undue stress to your skin.